If you follow a restricted diet, then you definitely understand how holiday potlucks can be a source of fear and dread. Not only will you be bombarded by temptation from every direction (I’m looking at you, Rice Krispies treats), but you’re at a loss as to what to bring that both you and others can eat -- especially if you’re short on time and/or kitchen skills. Well, the answer to your problem could, quite literally, be as easy as pie. 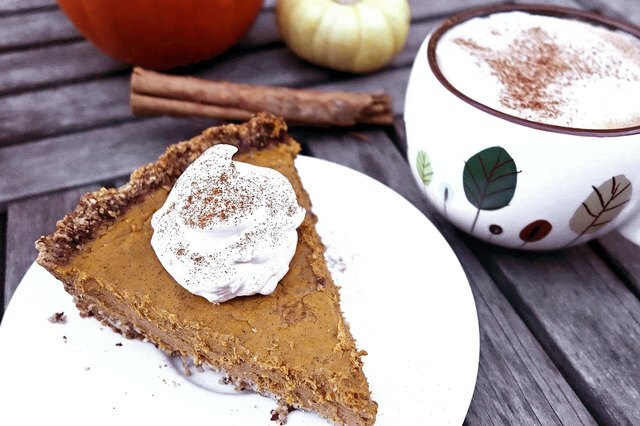 If almonds are on your OK-to-eat list, try out this fool-proof, grain-free, sugar-free, low-carb, pumpkin pie recipe that uses erythritol (a natural sweetener) for sugar and almond meal for wheat flour. You can also make a couple alterations to make it dairy free as well. 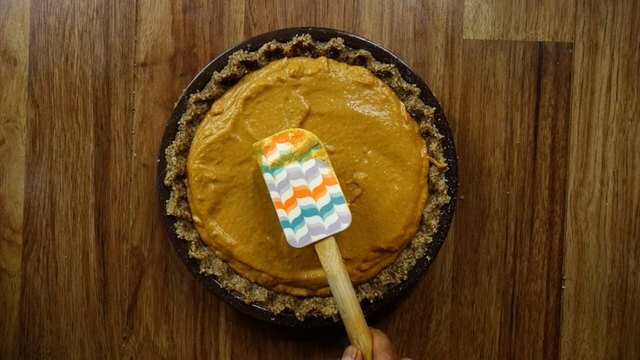 The end result is a rustic pie with a rich and creamy pumpkin filling in a crumbly almond crust with only about 4.75 grams of net carbs per serving! Preheat your oven to 325° Fahrenheit. In a large bowl, combine all the filling ingredients (using only two of the three eggs). That’s right, just dump them all in together in any old order. (I told you this was fool proof.) 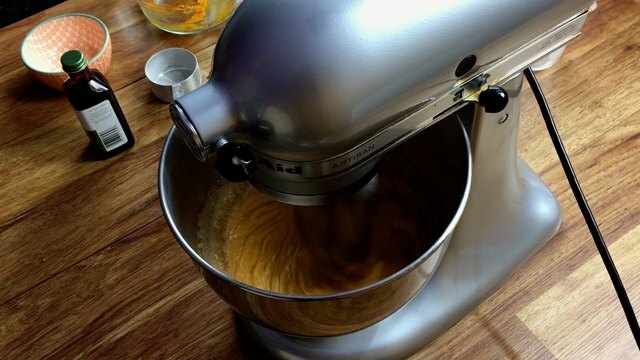 Now, mix away until it’s good and blended. 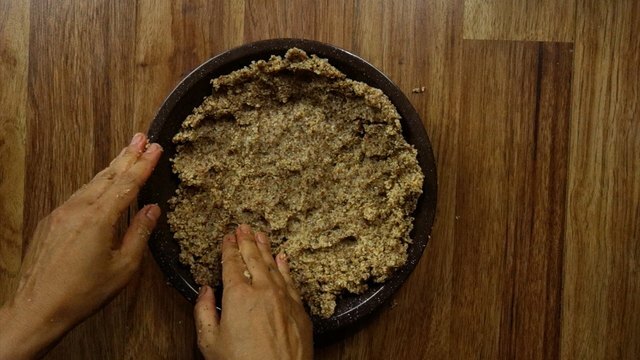 Once it’s done, set it aside and start making your crust. If you want to use coconut milk instead of cream for its terrific health benefits but are afraid your pie will taste too coconut-y, I wouldn't worry. The spices do a good job of masking the coconut flavor. However, you may want to add an additional ½ teaspoon of cinnamon and ½ teaspoon of nutmeg if you're really not into coconut. Talk about a no-fuss pastry crust. This one requires no rolling out, and only has three ingredients: one egg, butter (or coconut oil) and almond meal (or almond flour). 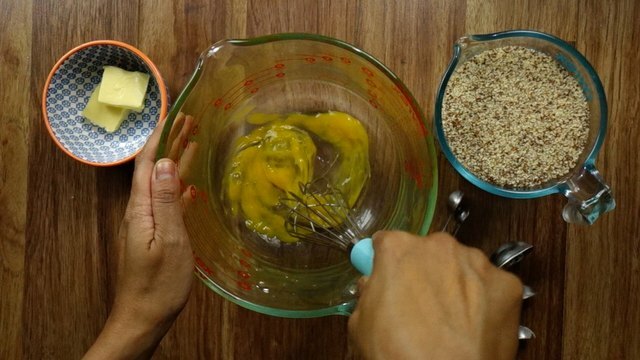 Slightly beat your egg in a mixing bowl, then add the butter and almond meal. 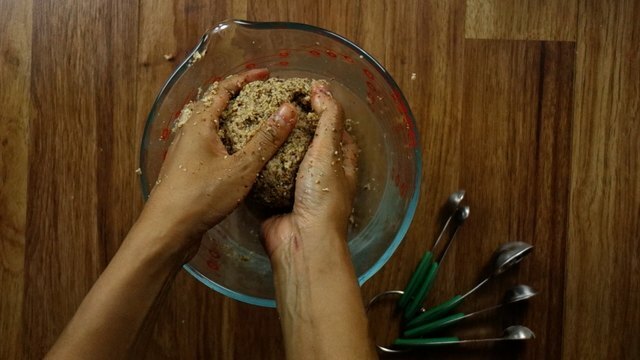 Mix the crust ingredients until they clump together. You’ll find that your hands are the best tools for this job. 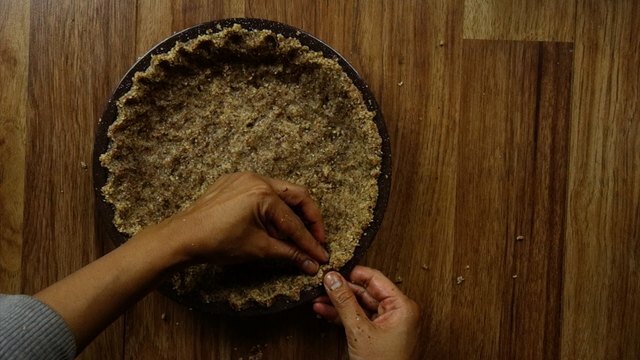 Take your pie crust "dough" and put it into a greased pie pan. Then, press it into the pan in an even layer. Add a decorative edge, if that’s how you roll. I like to flute mine. Or go with the rustic look and keep the edges unadorned. Pour the filling into the crust and even out the top with a spatula. Now it’s oven ready! Bake your pie at 325° Fahrenheit for about 50 minutes or until a toothpick inserted in the center comes out clean. If the crust edges are starting to get a bit too brown during baking, remove the pie and cover the edges with foil, then return the pie to the oven. When done, pull your pie from the oven and let it cool to further set. I know it’s hard, (smells heavenly, doesn’t it?) but be patient! To serve, top with a dollop of whipped cream or coconut cream and enjoy your cheat-free treat.